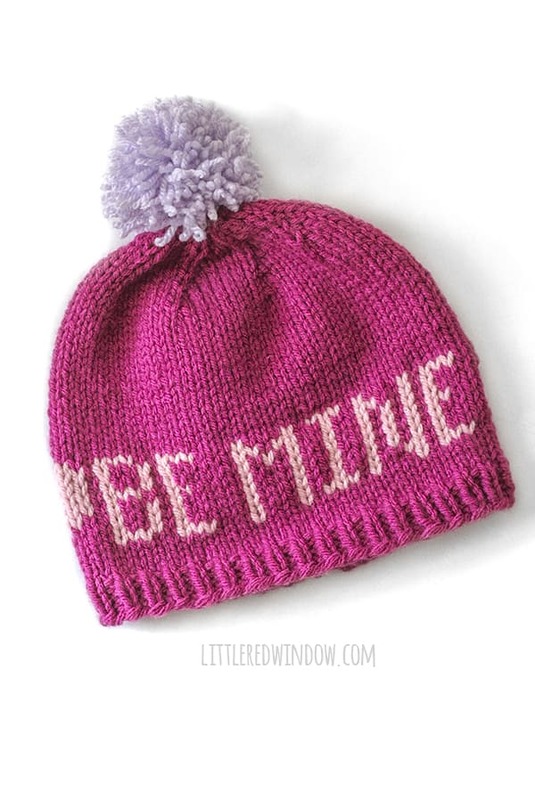 These adorable Valentine Love Notes Hats are super easy to knit and come with 4 different messages to knit for your little love! 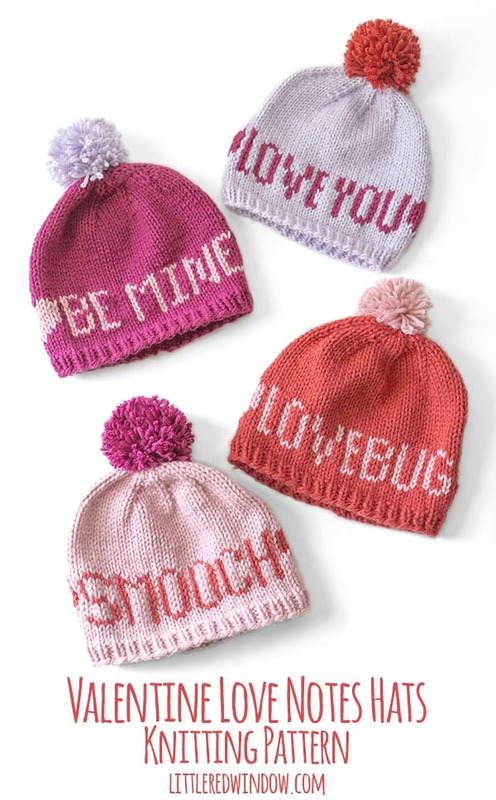 Ok, you guys, how CUTE are these Valentine Love Notes Hats?! 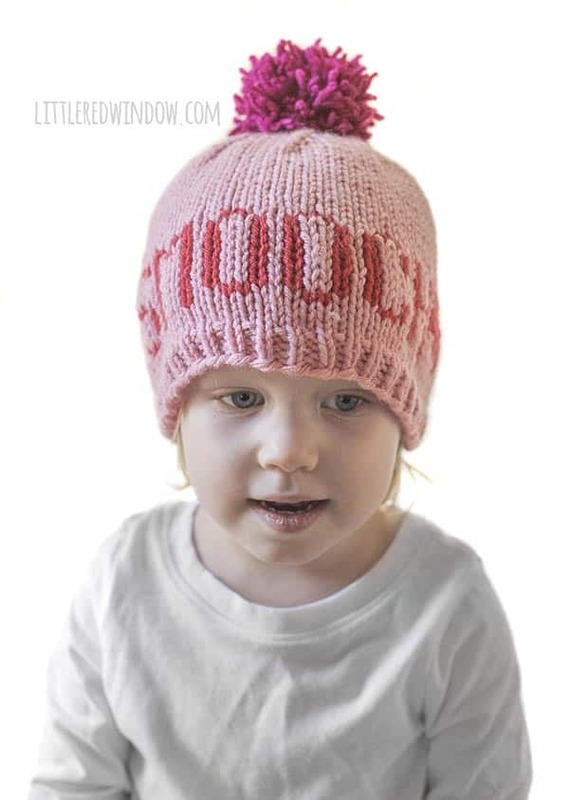 I think this might be one of my favorite knitting pattern collections ever. I mean, I love it so much I even made you an animated GIF! Now that’s saying something! 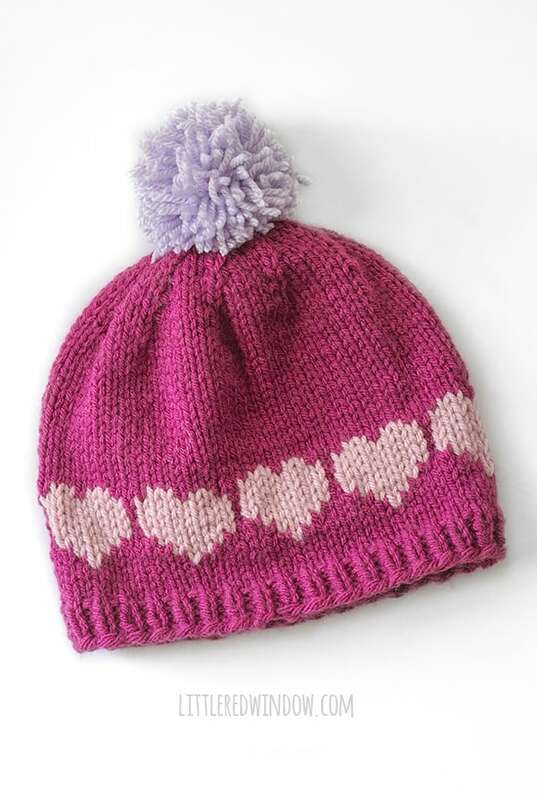 Based on how much you guys liked the Christmas Plaid pattern collection, I thought it might be fun to do a Valentine’s Day baby hat knitting pattern collection. I totally get it, options are fun. And deals. Deals are also nice, am I right? I suspect, although I can’t be totally sure, that many of you like these pattern collections because either, #1, you knit for more than one kid and want to take coordinating pictures (really, isn’t matching your kids or grandkids or nieces/nephews really the entire point of having children?) 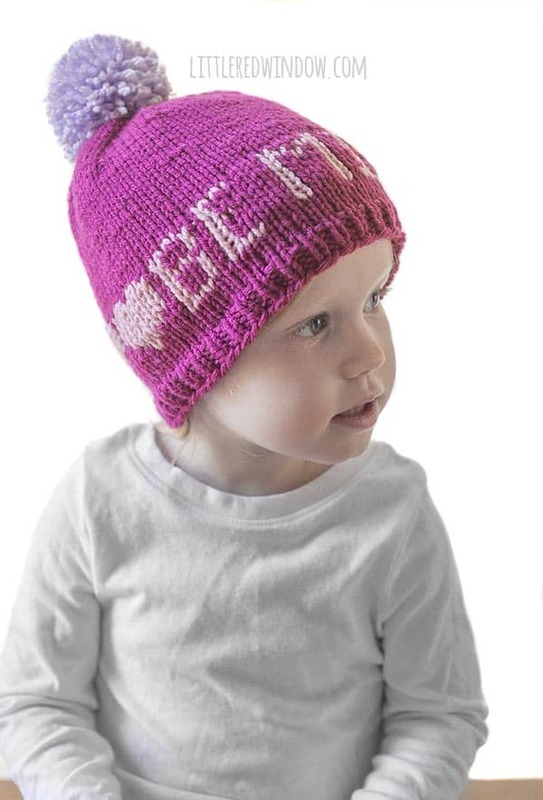 or #2 you knit baby hats for charity and get tired of knitting the same thing over and over and enjoy variety. 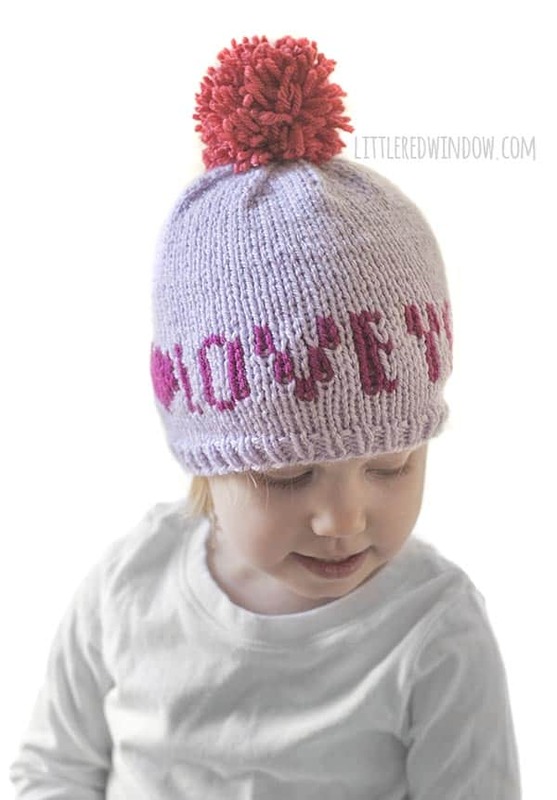 Those are both awesome reasons to love this cute Love Notes Hats knitting pattern collection. 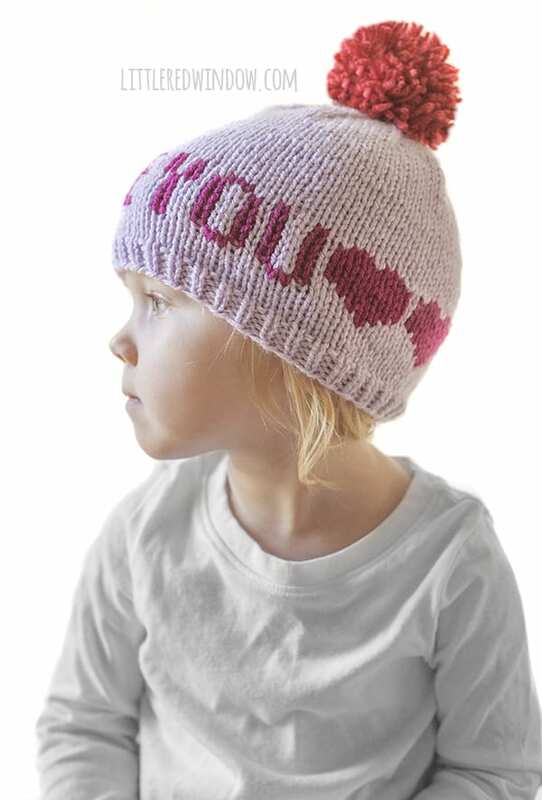 This cute pattern collection includes instructions to knit any of the 4 Love Notes Hat designs in any of four sizes from newborn to toddler. 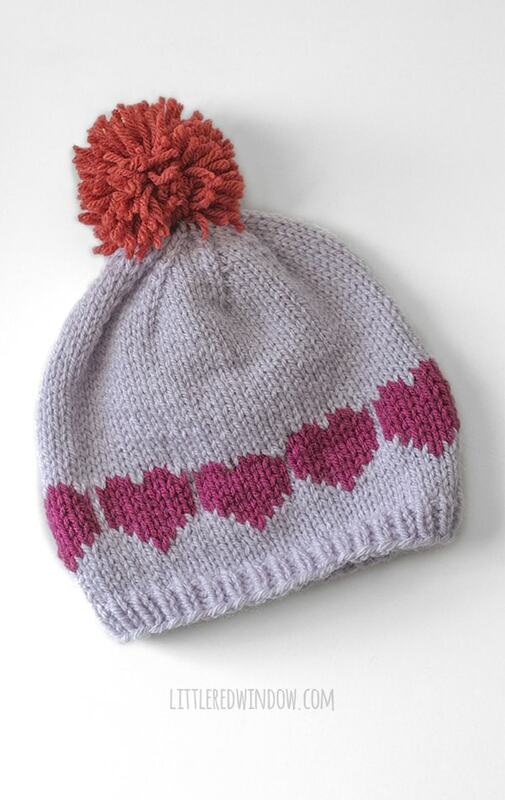 All designs include a row of hearts on the back. Let’s meet these, cuties, what do you say? First up is BE MINE! A classic Valentine’s Day love not message that works for everyone! 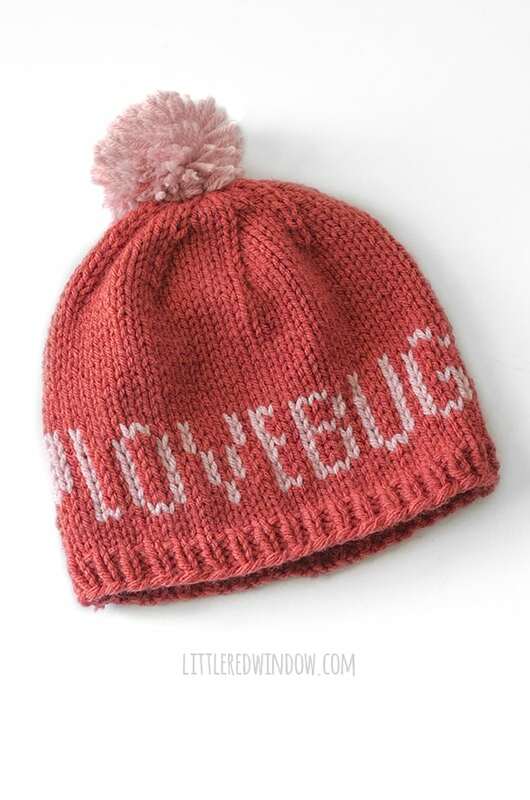 Next, Baby V is showing off her LOVEBUG hat which is one of my faves! 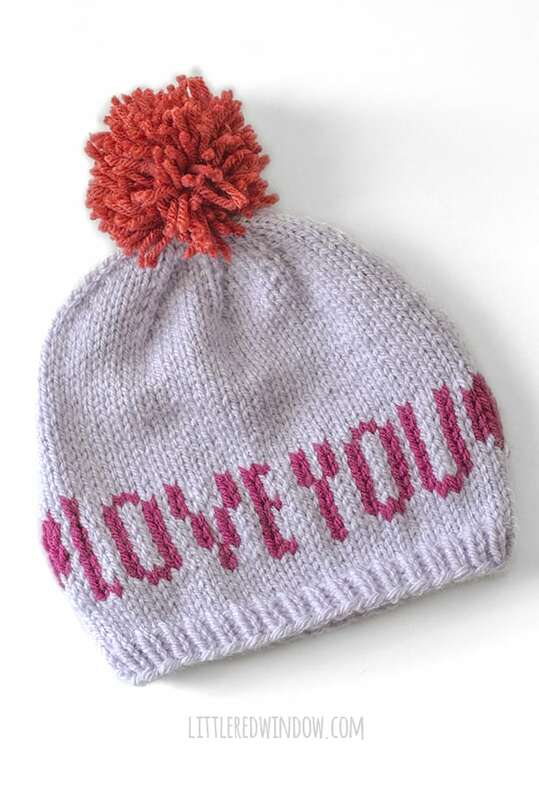 And finally, the timeless LOVE YOU hat pattern. Adorable, right?! Definitely need to make smooch in an adult. Can u figure it out and send and bill me? 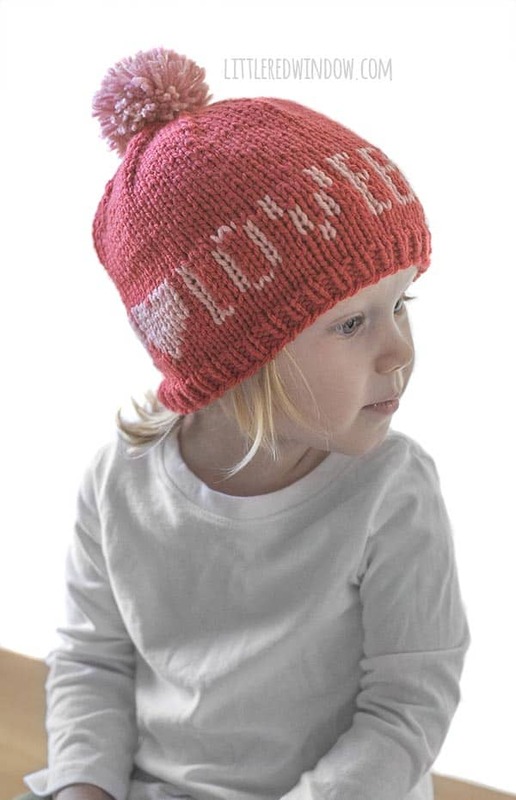 Or if I buy the bunch, send me adult sizing?